Cologne - With little or no room to manoeuvre in the Bundesliga standings, Saturday afternoon’s fixtures (kick-off 15:30 CET/14:30 GMT) put pivotal points on the line that could shed further light on what fate has in store for six top-flight competitors. 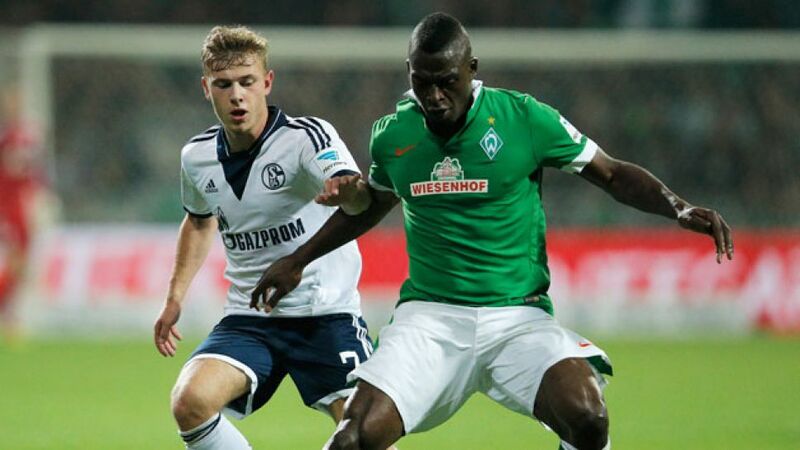 Fresh from suffering a 2-0 defeat to Real Madrid CF in their UEFA Champions League Round of 16 first leg on Wednesday, FC Schalke 04 have no time to rest on their laurels as they welcome SV Werder Bremen to the Veltins Arena. Easier said than done for a Schalke side whose focus on keeping things tight at the back has seen the goals dry up for the likes of their leading scorer Eric Maxim Choupo-Moting since the turn of the year, most recently in the 1-0 loss to Eintracht Frankfurt. Werder have had no such problems in 2015, scoring at least twice in all of their Rückrunde fixtures, including last weekend’s 3-2 victory over FC Augsburg, and could move within two points of Schalke with a win on Saturday, which would be their sixth in a row. What better introduction to Germany's top tier for new 1. FSV Mainz 05 head coach Martin Schmidt than the Rhine-Main derby with mid-table Eintracht Frankfurt. The 47-year-old was promoted from the Under-23s following the dismissal of Kasper Hjulmand earlier in the week, in light of a miserable run of form that saw the 05ers collect just one win from their last 13 league assignments. The new Mainz tactician admitted he wasn’t yet sure whether or not Greek goalkeeper Stefanos Kapino would keep his place in the starting line-up after filling in for suspended No1 Loris Karius in last Friday’s 4-2 defeat at Borussia Dortmund. Leading scorer Shinji Kagawa is fit to play, but Frankfurt captain and Japanese compatriot Makoto Hasebe is suspended. SC Freiburg were bottom of the table this time last month, but two wins from four games in 2015 have helped them up to 16th and to within a point of 14th-placed Mainz. As many as nine teams currently appear to be battling to keep they heads above water and die Breisgauer players know full well how important a good run of results could be to their relegation-dodging cause. The fact it’s a Baden-Württemberg derby adds further intrigue to the clash, and only a week after seventh-in-the-table TSG Hoffenheim 1899 nicked a 2-1 win over fellow south-west club Stuttgart at that. 24-year-old goalkeeper Oliver Baumann made a name for himself in Germany’s sunshine city, but he’ll be walking out at the Schwarzwaldstadion in Hoffenheim colours on Saturday, searching for his first clean sheet of the year.